Earlier today, the CNN network crawler put out incorrect information about Iran’s uranium enrichment. The crawler stated that 3.67% is "roughly halfway to weapons grade." That is off by several magnitudes. The cited figure is actually well within the range of reactor grade, magnitudes away from weapons grade. Weapons grade uranium is enriched to at least 85%-90% U235, the fissile element. Quoting the Smithsonian, "U-235, however, is fissile; it can start a nuclear reaction and sustain it. The 0.7% in naturally occurring uranium is not enough to make a bomb or even a nuclear reactor for a power plant. A power plant requires uranium with 3-4% U-235 (this is known as low-enriched or reactor-grade uranium). Most importantly, a nuclear bomb needs uranium with a whopping 90% U-235 (highly enriched uranium)." COMING UP: Our response to @CNN’s botched reporting on uranium enrichment. (1/3) On its network crawler earlier today, @CNN misstated enrichment of uranium needed for weapons vs. commercial nuclear reactors. (2/3) @CNN erroneously said uranium enriched to 3.7% is “halfway to weapons grade” when in fact it must be enriched to 80-90% for weapons. (3/3) Commercial reactor requires uranium enriched to 3-4%. That’s a long way from 80-90%. Facts matter, @CNN. It is physically impossible for a U.S. commercial reactor to explode like a nuclear weapon. The concentration of uranium-235 within the reactor fuel (3% to 5%) is far too low to be explosive and all U.S. commercial reactors are self-limiting. During power operations, when the temperature within the reactor reaches a predetermined level, the fission process is naturally suppressed so the power level cannot spike under any circumstances. And, by design, no one could intentionally or unintentionally alter a commercial nuclear reactor, its controls or its fuel to make it explode like a nuclear weapon. Doesn't seem off-the-wall to me. According to the WNA, it takes 800 SWUs to enrich a ton of natural uranium to fuel grade, and 1300 SWUs to weapons-grade. Sadly we've become a 'war' country. We push for war, no matter what the question might be. It's not an error at all - in terms of separative work, 3.67% could well be half-way, depending on a number of choices regarding feed, tails assay, etc. And if I remember correctly, enriching from 0.7 to 5 is much easier than from 70.7 to 75. Enrichment is an exponential process with each cascade providing a fractional improvement. going from 0.72% -> ~5% is "about" half the SWU/ centrifuge stage required to get to HEU. NEI. PLEASE do an in-depth examination of nuclear energy and the media. I can't plead plainer than that about a hot-potato issue to most all nuclear blogs or orgs. How many SWU are needed to enrich one kilogram of uranium from natural (0.7% U-235) to 3.7% U-235? Then, how many additional SWU are needed to go from 3.7% to 90%? That's the question, and the answer is not intuitive. Hint: It's not linear -- less SWU are needed to increase enrichment as the enrichment level of the original feed increases. CNN might still be wrong; it seems unlikely that 3.7% is fully "half way" to 90%. But it's not directly proportionate to the percentage of enrichment. Also, it's important to bear in mind that one need not have weapons-GRADE uranium (>90%) to make a nuclear bomb. Any high-enriched uranium (>20%) can be used; it's a question of the size of the critical mass. That's why HEU exists as a category in safeguards nomenclature in the first place. I'm sorry, but I don't understand the point of your objection. 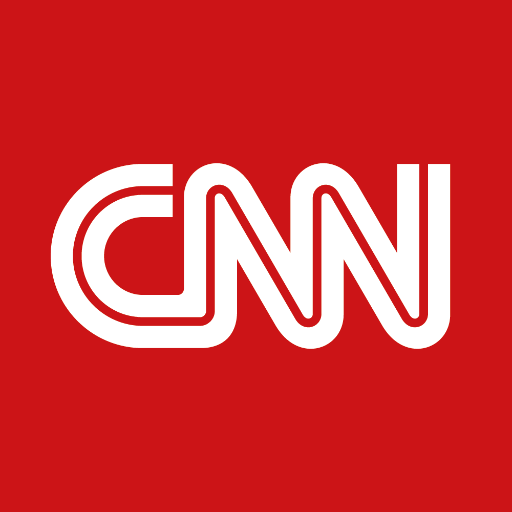 CNN is referring to the relative quantities of separative work required to enrich natural uranium and 3.67%-enriched uranium to weapons-grade. In fact, 3.67% is more than halfway in terms of SWU requirements. It takes approximately 36% as many SWU to produce a given quantity of 90%-enriched HEU from 3.67%-enriched LEU as it takes to produce the same quantity from enriching natural uranium. Moreover, nuclear weapons can be built with much lower enrichments. The technical definition of HEU is any enrichment greater than 20%. There are tradeoffs between the enrichment and the core weight, however. Yucca Mountain: Nuclear Albatross or Top 10?